The hardest lesson in life is that often, our dearest ones leave us too soon. 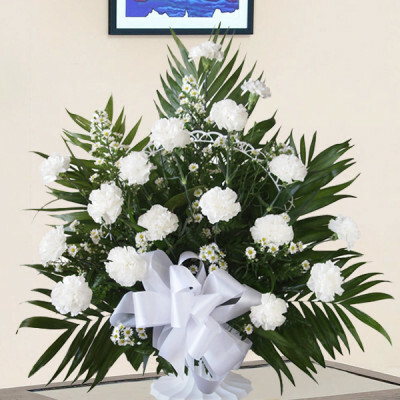 Let your loved ones know that your thoughts and prayers are with them in these difficult times, by sending these Sympathy n Funeral combos to them online with MyFlowerApp. 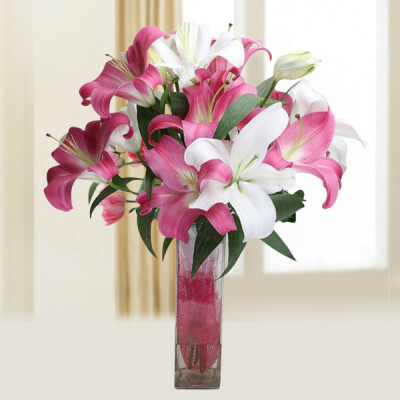 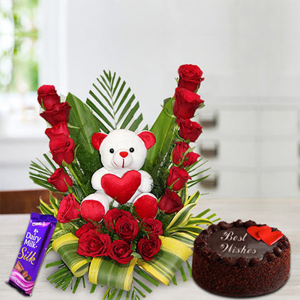 Choose from various flowers to convey your deepest sympathies, and have them delivered anywhere in India. White roses signify pure and sincere feelings. 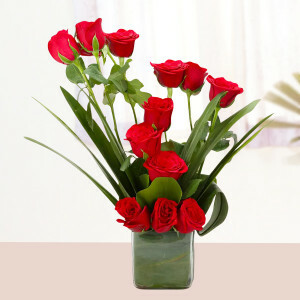 It can express the communication of love, pleasure, respect, and thankfulness. 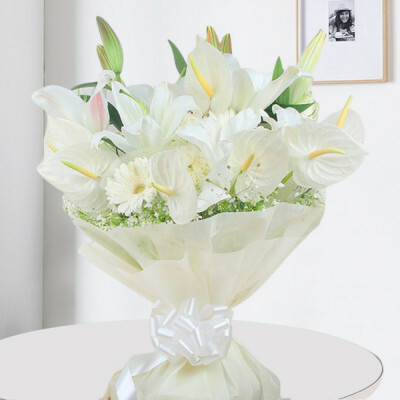 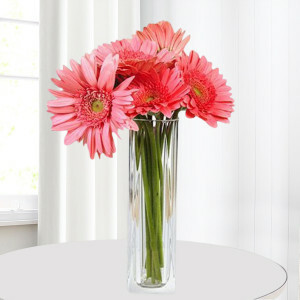 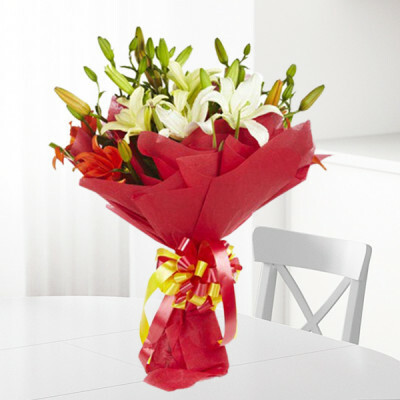 This fabulous flower bouquet will produce some of the unsurpassed moments for your special occasions. 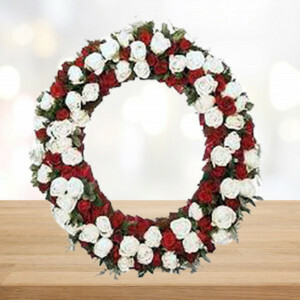 Whatever the occasion may be, our unique mixed roses wreath full of full-bloomed hand-picked different shades of 50 pink, red and Yellow roses with seasonal green leaves decorated with a pink ribbon-made flower, is the best gift ever. 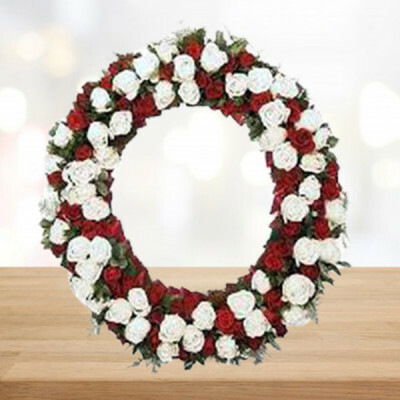 - 50 Mixed Roses Wreath Arrangement. 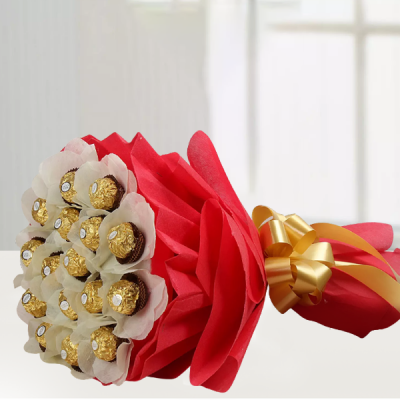 - Bouquet of Ferrero Rocher Chocolates- 16 pcs. 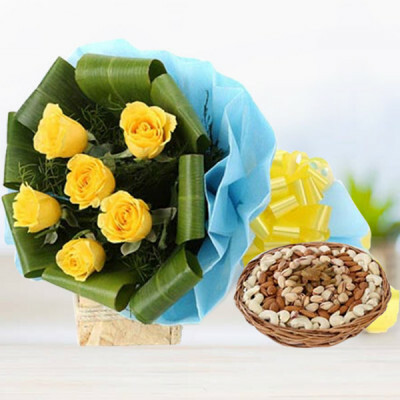 6 Yellow Rose Blue Paper Packing Almonds 100 gms Cashew Nuts 100 gms Pista 100 gms Raisin 100 gms Basket. 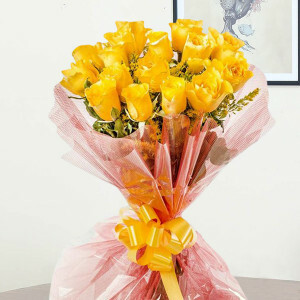 - 6 yellow roses in blue paper packing. 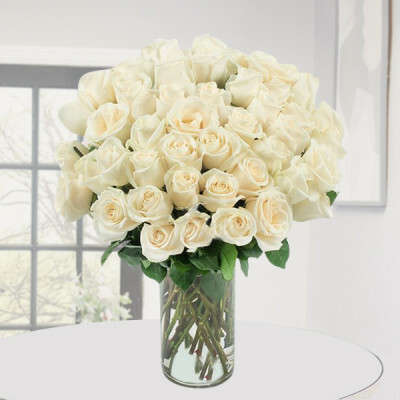 Make this celebration of your loved ones become more excellent if you are not there with this large bouquet of 50 white roses. 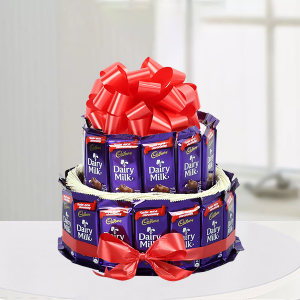 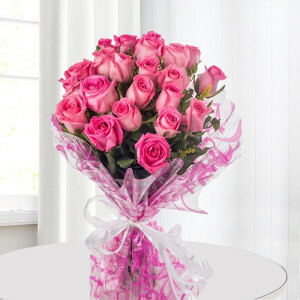 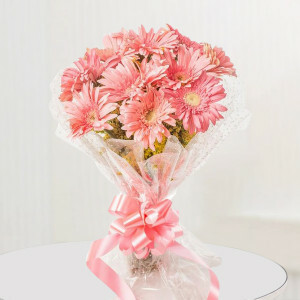 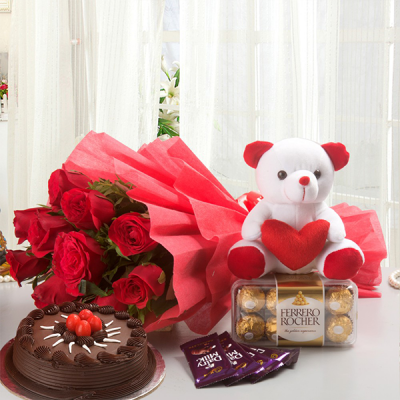 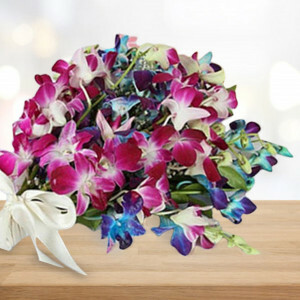 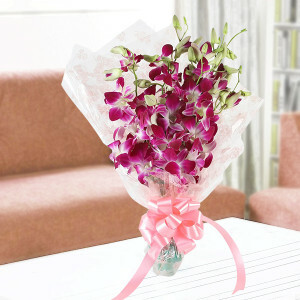 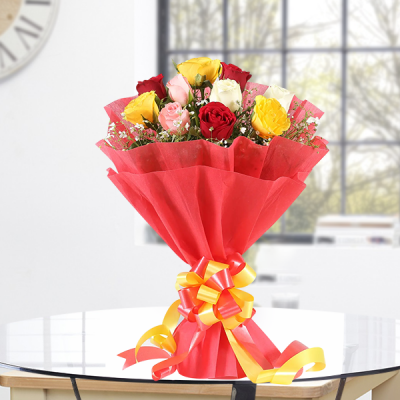 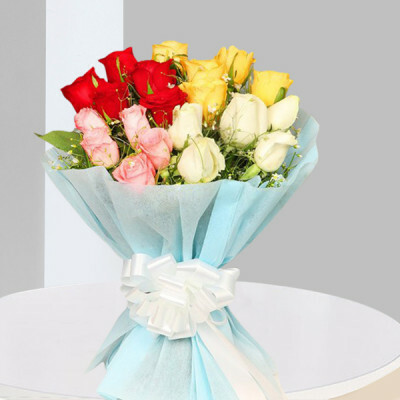 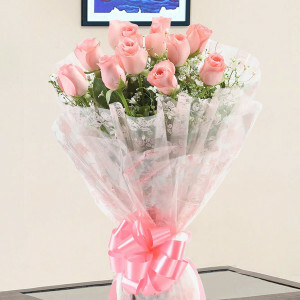 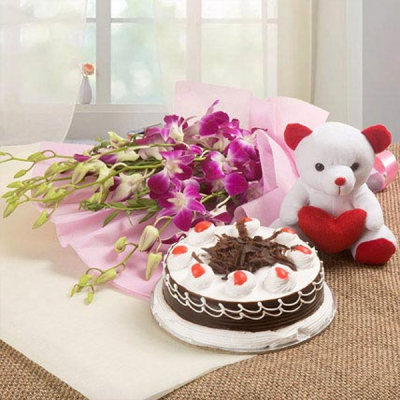 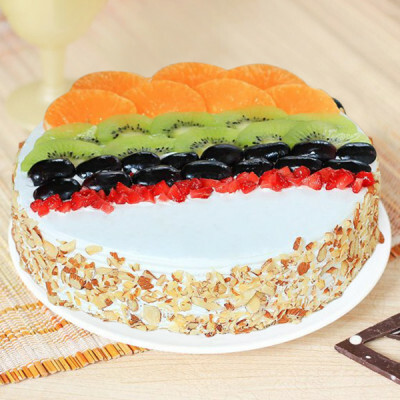 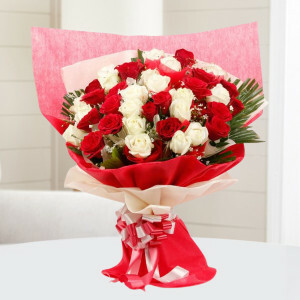 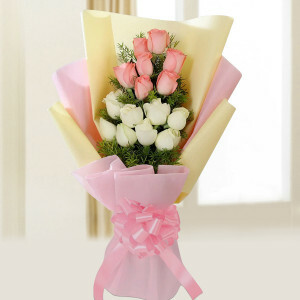 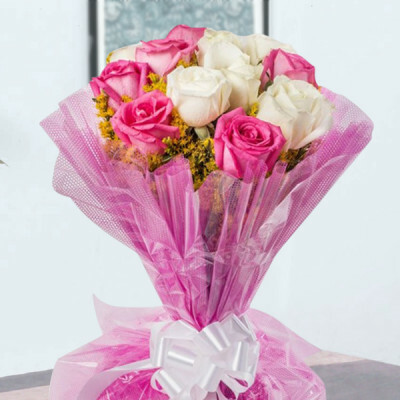 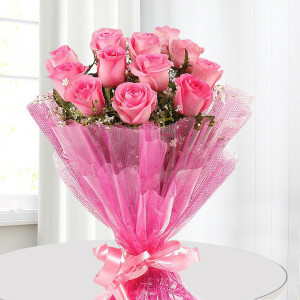 Offer an enormous surprise to special one with this glamorous bouquet of respect, purity, and love.